Advanced X Video Converter is a fulfilled video converting software that makes it so easy for you to convert, join and split your video files. Advanced X Video Converter supports most of the available video formats also converts video files to pictures. 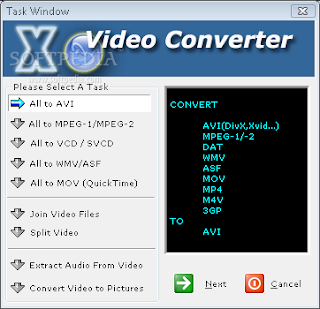 Advanced X Video Converter was designed to be used by non-professionals. With Advanced X Video Converter you will simply choose the device or the output format that you want to convert to, and it knows exactly how to perform the conversion, with no need for you to think about complicated settings.